Apparently all we ever want is a reunion, until it happens. 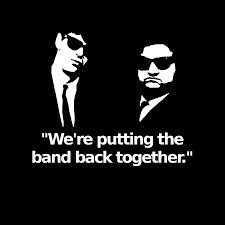 Blues Brothers has given everyone false hope that getting the band back together is going to be a roaring success. In reality they are more police cars at the end of the most famous cinematic car chase. Have we learned nothing from catching up with high school reunions. Despite all of the cliques and power struggles of our youth everyone has turned out pretty much the same. The high school athlete, the prettiest girl at school and the academic super star are all now middle aged, over weight and. slightly balding. Even the magic from your closest friends has gone. The rapport, the timing just isn’t quite there any more. Despite this, the media and some fans are desperate for any former television show with either a cult following or high ratings in its prime consistently call for the cast to reunite. Hey Hey It’s Saturday should be a warning to us all. It was a rating juggernaut in its day and every international celebrity gracing Australia with their presence would want to be book onto the show. Saturday nights did not start until 8.30pm. Then after ten years off the air, the cast reunited for a series of shows in 2009…crickets and tumble weeds. What was fast, improvised and sharp-witted was now awkward, forced and cringey. The chemistry was right for its time. But times change and even with the greatest sense of nostalgic anticipation, the reboot is never quite like the original. The latest call is for the cast of Married With Children to reunite after they all gathered to celebrate Katey Segal’s star on Hollywood’s walk of fame. Ed O’Neil whilst still a great comedic actor is now looking a lot older, heavier and balder. 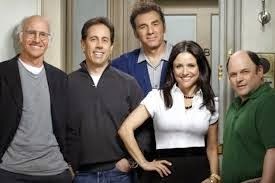 Would the politically incorrect, misogynistic and exploitative humour still get the same laughs from either the live audience or the laugh track? Or would it soon appear to be a bit worn and same-same. Along with being older Jason was also fatter and balder! Arrested Development was ground breaking and won critical acclaim. The 2013 reboot series was critically dismissed. Friends was a stalwart of television through the 90s into the early 2000s and is another show that regularly gets touted for a reunion Depending on the timing of any reunion Matthew Perry will have either gained or lost a lot of weight. series. 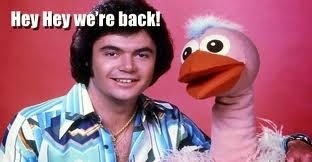 This would raise the other awkward challenge of a television reunion. The casts careers and personal lives have taken vastly different trajectories. Apparently, for some of them, no-one told them that life was going to be this way. At least the actors, if not their careers, are still alive. 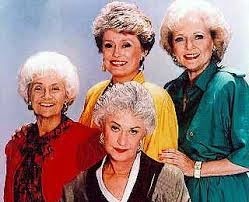 Unlike the cast of Golden Girls. Sophia, Dorothy and Blanche are now in the Golden Palace in the sky. On the upside they no longer have to worry bout their weight.